This versatile, high impact and solvent resistant Caddie will hold, protect and organize up to 10 blades in convenient slots. The Blade Caddie prevents rust and broken teeth. And the Blade Caddie lid becomes a handy wash basin for blade cleaning and soaking. 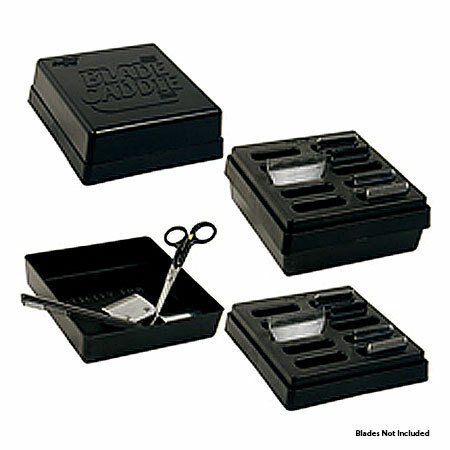 The lid can also function as a utility tray for combs and attachments or fits conveniently under the blade holder base. The Blade Caddie is the perfect shipping container for blades that are sent off for sharpening. It's the perfect way to protect your blade investment.